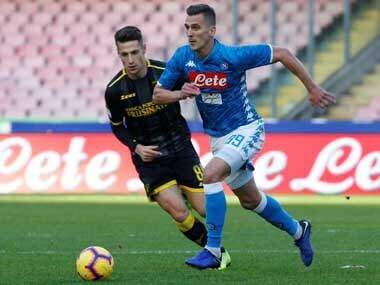 Carlo Ancelotti's Napoli side consolidated second place and replied to Juventus who had pulled 11 points clear on Friday with a confident 1-0 win over Inter Milan. 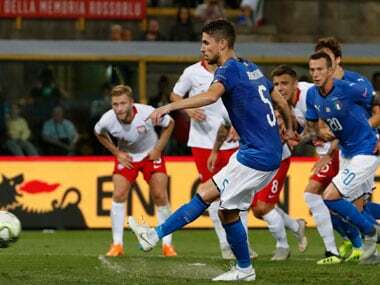 Chelsea midfielder Jorginho endured a topsy-turvy 90 minutes in Italy's first UEFA Nations League match against Poland, as he was at fault for Poland's goal but also scored for Italy. 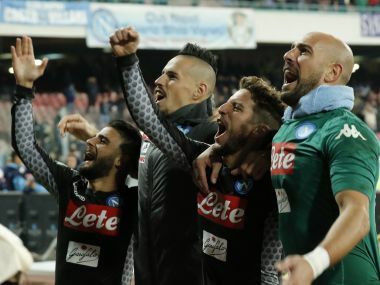 Lorenzo Insigne washed away his World Cup woes by starring in Napoli's 2-1 victory over a struggling but spirited AC Milan on Saturday that saw the Serie A leaders go four points clear. 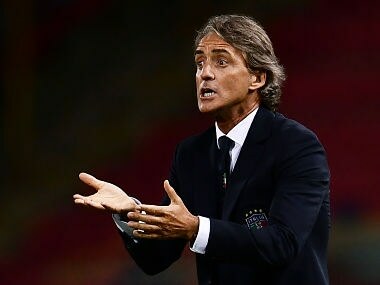 Robert Lewandowski equals Cristiano Ronaldo's tally of 11 goals in the qualifiers as he netted twice from the penalty spot and a bullet header to complete his hat-trick, ensuring Poland all 3 points.